This is a sponsored post written by me on behalf of Faultless/Bon Ami Company . All opinions are 100% mine. 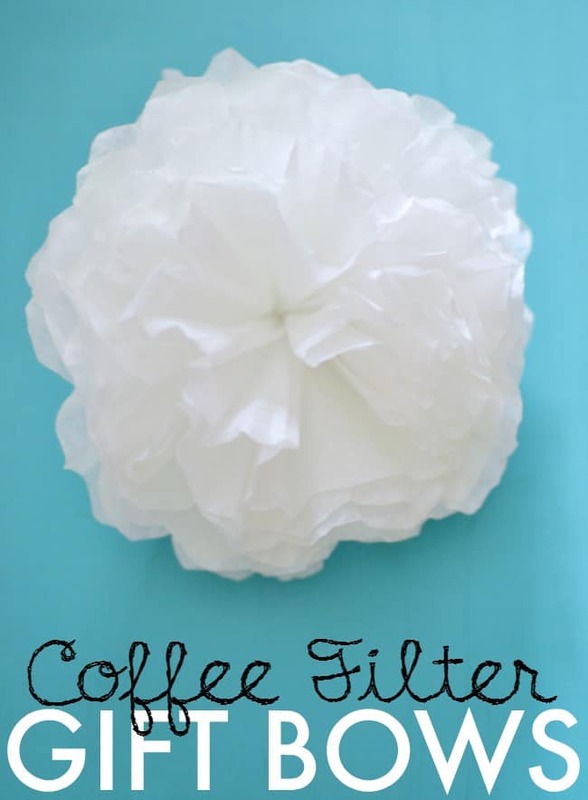 So today I wanted to share with you a simple and quick way to make do-it-yourself gorgeous coffee filter gift bows. These little guys will cost you less than $2 and allow you to make around 20 of them [depending on your package]. So lets get started and make some bows for all those special gifts you will be giving out the rest of this year. 1. 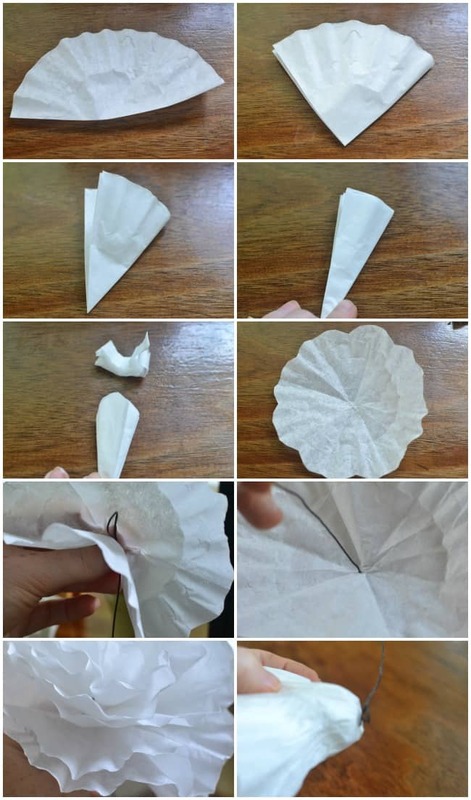 Fold each coffee filter in half. 4. Then fold in half one more time, making 4 folds total. You can do at least 3-4 at the same time. 5. Cut around the top of the folds to create the scalloped effect. 6. Make a curve in your craft wire and puncture through the middle of your coffee filter. Once you have done this part you will want to apply a little fast drying glue in the center to keep the coffee filter secure. 7. Continue punching the craft wire through all of the coffee filters. 8. Scrunch each filter as you go creating a pretty flower. 9. Once you are finished you can twist the craft wire to secure all of the filters in place. At this point you can add more glue if you feel you need to. 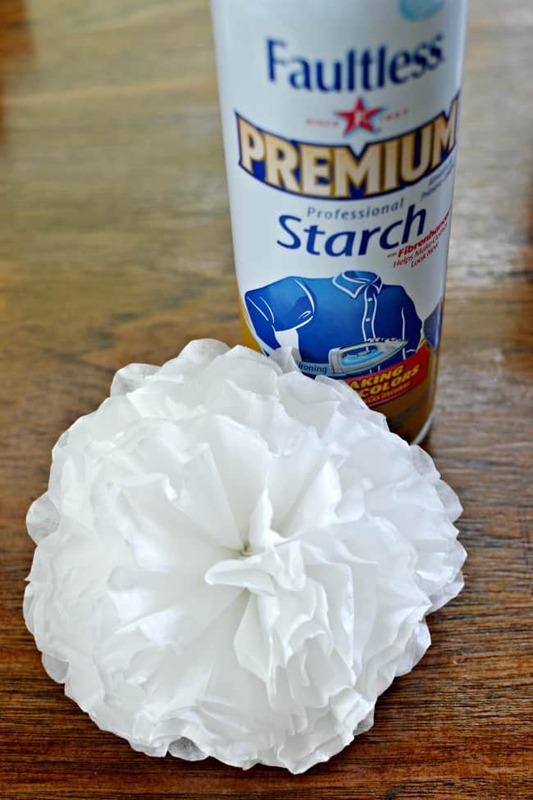 For the sake of this tutorial I made a white gift bow but you can use food coloring or watered down acrylic paint to create any color of the rainbow. Just dip the filters into the colored water and then allow to fully dry. Once they are fully try you can start at step 1 of the tutorial above. The final step is to make the gift bows nice and stiff. This will allow them to keep their shape and stay pretty for you. Once I have finished making my bow I will then coat it with Faultless Starch, give it the final shaping and set aside and allow to dry. Once it is dry the spray starch will make it nice and stiff and ready for gift giving. As much as we love the added benefit of using our starch on coffee filters we mainly use it for my husband’s work shirts. I have mentioned numerous times before that he is a Army recruiter. Well his main uniform is his dress uniform. He wears it almost daily which means to keep himself looking on point he sprays his white dress shirt with starch nightly. We especially love the Faultless Premium for this. It reduces his ironing time, his shirt looks, wears and feels better when using this product. Plus the benefit that it has no flaking, doesn’t stick and is guaranteed not to clog. 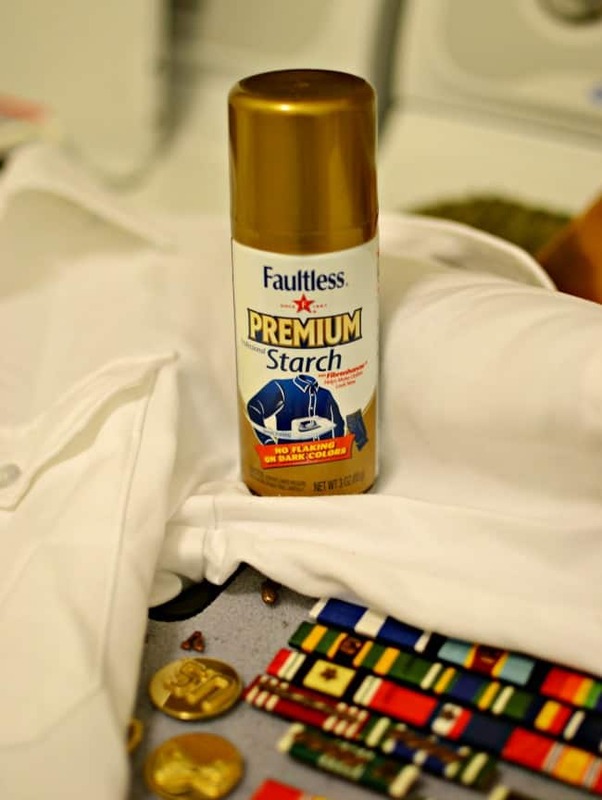 It’s the starch that performs! Which is great because when he is looking his best he will be performing his best. Faultless Premium can be purchased in the laundry aisle of major retailers [find a store] so the next time you are out pick it up and give it a try. Don’t forget the Faultless Premium Coupon! 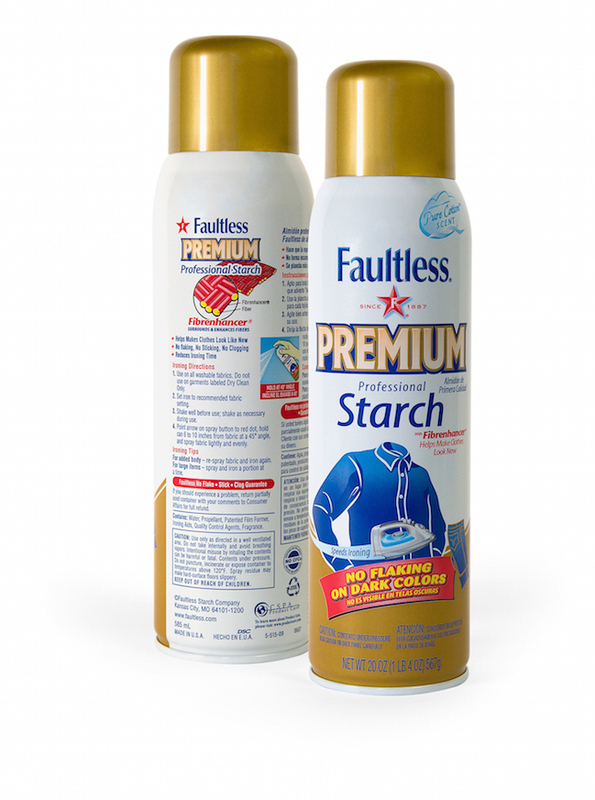 o Visit the Faultless Starch Giveaway page. Be sure to check out Faultless on Facebook for more tips & tricks!